Sodium phosphate is a naturally occurring type of phosphorus that can be found you your body’s cells. This can also be applied to help clean the digestive system prior to x-ray, endoscopy, surgery or other intestinal procedures. This can also be used in an enema after surgery to address impacted bowels. 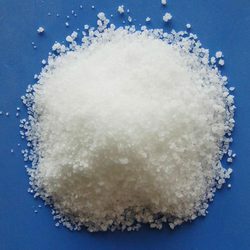 Sodium phosphate is commonly listed in foods as a generic term for phosphoric acid or sodium salt. This is commonly added to food for a variety of purposes, but this process has been largely studies and is generally considered to be safe. 1. Why is sodium phosphate prescribed? Sodium phosphate is prescribed to empty the colon for an examination inside the colon or bowel such as a colonoscopy. The medication acts as a saline laxative that causes diarrhea that will empty all stool from the colon. This will allow your doctor to have a clear view of the walls of the colon to check for abnormalities like cancerous cells. 2. How should sodium phosphate be used? Typically, a sodium phosphate will be provided by your doctor that you will take by mouth the night before your scheduled colonoscopy. You may need to take additional tablets every 15 minutes 12 hours before your surgery. These should be consumed with a full 8 ounces glass of clear liquid. You will need to restrict your diet to clear liquids such as plain or flavored waters, juices without pulp or ginger ale during a sodium phosphate treatment. You should not consume any liquids with red or purple coloring and talk to your doctor if consuming clear liquids will cause difficulties. You may see two packets in the container with your sodium phosphate tablets. These are used to keep the tablets at the proper moisture level and are not intended to be consumed. You should be prepared to have several bowel movements while using sodium phosphate. Stay close to the toilet throughout your treatment to prepare for this. 3. What precautions should I follow? You should let your pharmacist know if you are allergic to any medications to avoid a potential reaction. You should inform your doctor about all medications, nonprescription mediation, nutritional supplements, vitamins and herbal remedies you are currently taking before you begin using sodium phosphate. This medication interacts with several other drugs including antidepressants, amidarone, pimozide, cisapride, disopyramide, dofetilide, sotalol, quinidine, sparfloxacin, or thioridazine. If you have already taken sodium phosphate within 7 days you should let your doctor know to avoid overusing this medication. You should not take any additional enemas or laxatives while you are using sodium phosphate. The mediations you have taken before you use sodium phosphate will be washed from your system so you may see undigested tablets in your stool during this treatment. Those that drink large amounts of alcohol, follow a low salt diet, those that have had heart or stomach surgery, have had a prolonged QT interval, difficulty swallowing, heart, buildup of fluid around the organs, seizures, chest pain, irritable bowel disease or have used medications for seizures or anxiety before you begin to use sodium phosphate to avoid potential complications. Those that are trying to become pregnant, are pregnant or are breastfeeding should also inform their doctor. 4. What are side effects of sodium phosphate? Those that use sodium phosphate may experience bloating, nausea or stomach pain. You should let your doctor know if these symptoms do not fatal. If you experience difficulty breathing or swallowing, swelling in the mouth, tongue, throat, lips, face or eyes, itching, rash, hives, fainting, irregular heartbeat or itching contact your doctor immediately for emergency care. You should report any irregularities you experience while using this medication. 1. What are compounds of sodium phosphate in foods? Sodium phosphate is typically used to describe trisodium phosphate. However, this term may also be used to refer to monosodium phosphate or disodium hydrogen phosphate, but this will likely be specified on the label. 2. What are uses of sodium phosphate in foods? Texturizer. Disodium hydrogen phosphate is commonly used as a texture modifying agent or texturizer that will alter the feel or appearance of food. This is typically used to enhance a substance’s shelf life. Emulsifier. Each of the three versions of sodium phosphate can be used as an emulsifier that will follow the uniform dispersion of ingredients that would not be able to be immiscible otherwise. This is typically used to make sure specific ingredients in a food will not separate from the rest of the recipe, which is often seen in canned soups, processed cheeses or processed meats. Leavening agent. Sodium phosphate will often be added to the batter for baked goods, sold cakes or breaded chicken and fish to help the dough rise. Surface-active Agent. This chemical will be added to food so the surface tension of liquid components in the food will whip or foam more easily. Neutralizing Agent. Sodium phosphate will be added to food to keep it from becoming more alkaline or acidic. Nutrient. In some cases sodium phosphate will be used as a dietary supplement to provide an essential phosphate nutrient.